How quick is the Honda CB300R off the line? The onboard footage reveals the acceleration numbers of the sub-500cc CB series product from Honda. The motorcycle, as seen in the video below, accelerates from 0-60 km/h in less than 3 seconds and from 0-100 km/h in 6.20 seconds. In comparison, the KTM 390 Duke accomplishes the same in 2.6 seconds and 5.5 seconds respectively. Check out the Honda CB300R’s acceleration in the video below. The Honda CB300R uses a 286 cc liquid-cooled, DOHC, single cylinder fuel-injected motor that puts out 30.9 bhp of power at 8,500 rpm and 27.5 Nm of peak torque at 7,500 rpm. The Austrian naked roadster, on the other hand, draws 42 bhp of power at 9,000 rpm and 37 Nm of peak torque at 7,000 rpm from its 373.2 cc liquid-cooled, single cylinder engine. The motorcycle, as regular readers would know, will arrive in India on February 8. The bookings have already commenced through Honda Super Bike network in the country for a token amount of INR 5,000. 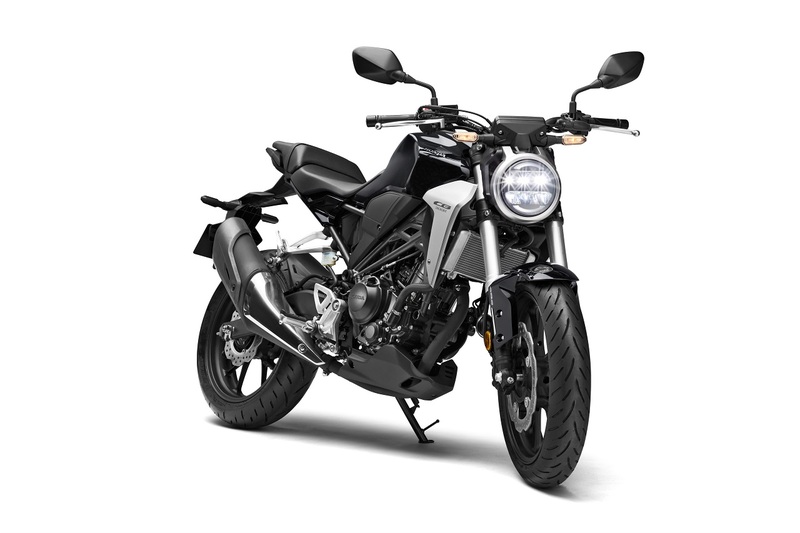 The motorcycle, as told by Honda 2Wheelers India, will arrive below the INR 2.50 lakh (ex-showroom) price range, which will put it against the KTM 390 Duke. The Austrian pocket rocket retails at INR 2.44 lakh. Honda is currently bringing the motorcycle via the CKD route. The bike features full LED lighting, fully digital instrument console and the Neo Sports Café design theme from the CB1000R. Honda is also reportedly working on a cafe racer variant of the CB300R. This model will be reportedly named CB300 TT and is expected to arrive in 2020. The Honda CB300R's acceleration numbers are at par with its rival in the Indian market. The motorcycle clocks 0-100 km/h in about 6.2 seconds (as seen in the video). In more updates from the Indian market, Honda is also preparing to introduce its new middleweight sports tourer, the CBR650R, as a replacement for the CBR650F very soon. The CBR650F has already gone missing from the company’s India website, and we should hear the launch details of its successor soon.